Nigel Travis has forty years of experience as a leader in large and successful organizations, as well as those facing existential crisis-such as Blockbuster as it dawdled in the face of the Netflix challenge. 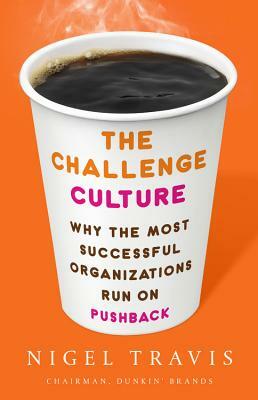 In his ten years as CEO and chairman of Dunkin’ Brands, Travis fine-tuned his ideas about the challenge culture and perfected the practices required to build it. Everyone-from the new recruit to the senior leader-must be given the freedom to speak up and question the status quo, must learn how to talk in a civil way about difficult issues, and should be encouraged to debate strategies and tactics-although always in the spirit of shared purpose. How else will new ideas emerge? How else can organizations steadily improve? Nigel Travis, the chairman of Dunkin’ Brands, was the company’s chief executive officer from 2009 through 2018. In 2017 he became the owner of Leyton Orient Football, a troubled professional soccer team that presents a unique opportunity to implement his challenge culture strategy.